Tiwa Savage Files For Divorce From Hubby? It appears estranged celebrity couple, Tiwa Savage and Teebillz who were said to be resolving their marital issues, have finally given up on each other. There are reports that Tiwa Savage has filed for divorce from her estranged husband Tunji Balogun, a.k.a TeeBillz. We hear all attempts by the couple to resolve their differences have failed, and Tiwa, has allegedly called it quits, citing ‘unsolvable issues’ as the reason for the decision. The embattled couple have not been together since their marital crisis in 2016 which Teebillz made public. Who can forget that scary attempt by Teebillz to commit suicide by trying to jump off the Lekki-Ikoyi Bridge in Lagos. 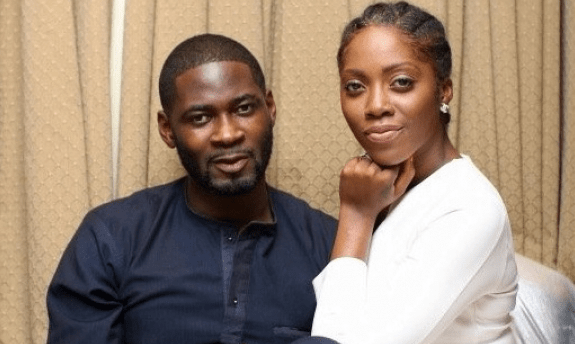 The duo then engaged in ‘war of words’ on social media, as Teebillz' alleged infidelity, among other accusations, on the part of his estranged wife were aired in public. Tiwa, who shares a son with Teebillz, in turn granted a 45-minute video interview to debunk the accusations. Later, fans and industry watchers started assuming that all was now well with the couple when many of their friends, colleagues and family members intervened. However, it seems things have taken a different turn as the estranged couple who were said to be resolving issues, have finally given up on each other.